Hero MotoCorp, one of the largest motorcycle manufacturers in India has further strengthened its product portfolio by introducing the new Hero Passion Pro. The new member from Hero MotoCorp family comes with an advanced and powerful engine, enhanced mileage as well as attractive styling. Hero Passion has a reputation for its brand as it is there from quite a long time in India. 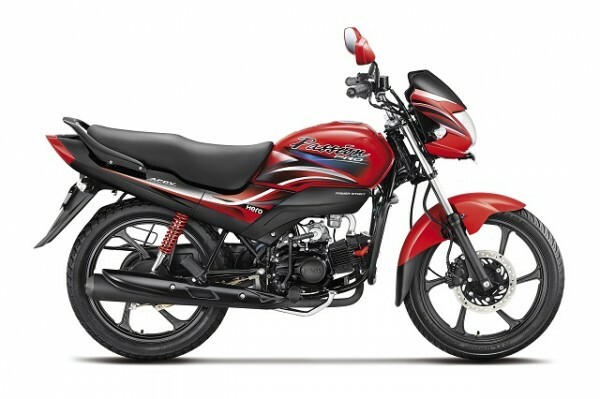 Since it is first launch in India, the bike has seen increasing sales figures year on year. The new Hero Passion Pro gets a new more powerful engine. The bike is powered by 97.2 cc, single cylinder, air cooled APDV engine which churns out a maximum power of 6.15 kW at 8000 rpm and has a peak torque of 8.05 Nm at 5000 rpm. Some good features of the new Hero Passion Pro include a flush type fuel tank cap which adds to the convenience that provides greater safety and enhanced looks. The fuel tank capacity of the bike is 13.5 litres. The company has added a front disc brake in order to provide good braking capability and also to keep the rider safe. The visibility of new Hero Passion Pro is enhanced with clear indicators and brand new tail lamp. Power start, a front side cowl and digital-analog combo meter are the other features which are packed in this bike. The new Hero Passion Pro has been priced at INR 47,850/- in Delhi (ex showroom).